1. The Rail Job: A methanol or gasoline-nitro-formula-powered engine centered between two simple rails. This is the classic dragster. The earliest dragsters mounted the engine in front of the driver, but when all those drivers got killed by engines and transmissions that exploded in their faces, everybody switched to engines behind the driver. 2. 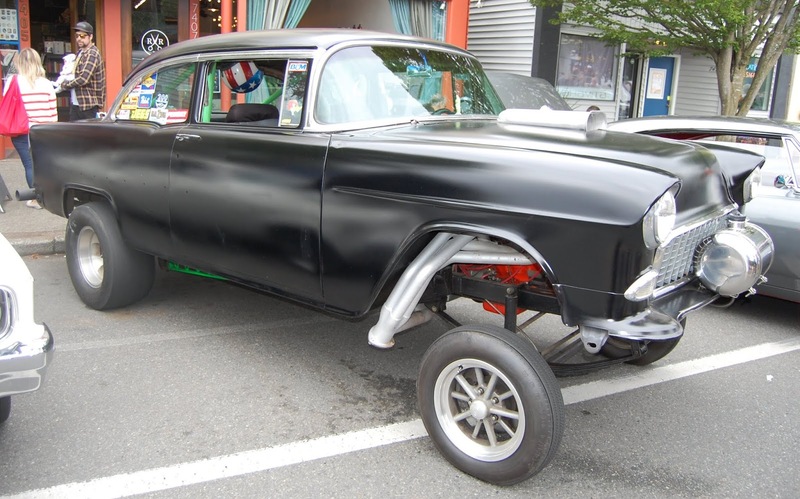 The Gasser: Start with a stock car. 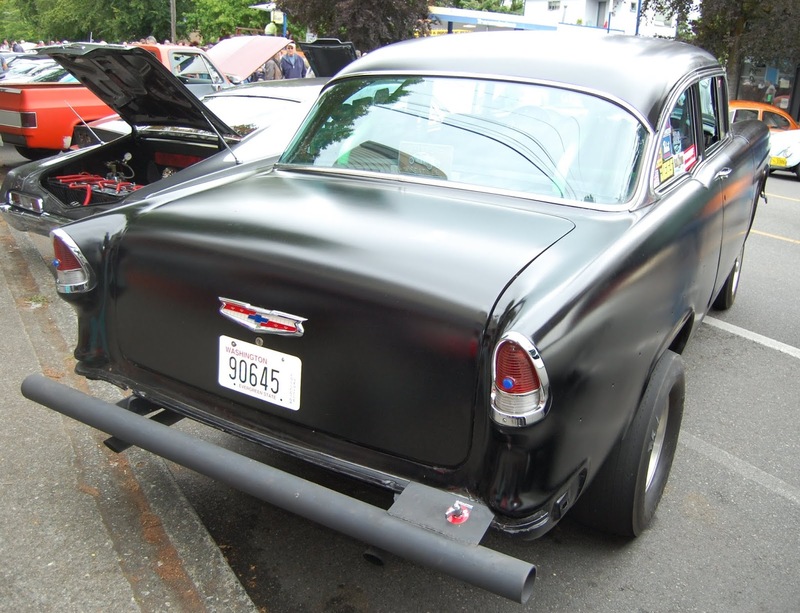 Build an elevated sub-frame that lifts the front end, providing the car with better traction and giving it more space for a big gasoline engine and "bundle of snakes" free-flow exhaust. Stick the gas tank on the front of the car - you don't really want the gas tank under the back of a car that does wheelies. 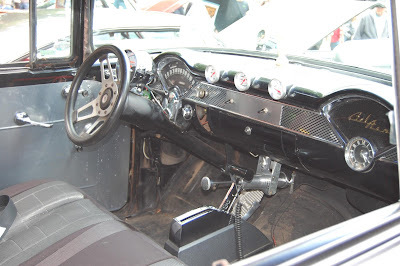 Popular accessories included a giant supercharger lifted from a vintage GM diesel truck and mechanical fuel-injection (this last accessory, it should be noted, is incredibly cool-looking). This Chevy is technically street-legal, although I've no doubt it violates city noise ordinances. 1985 Subaru BRAT. Take That, Chicken Tax!